The top and bottom have been shaped and glued to the ribs. I cut my purfling grooves by hand, using special tools. Now I’m ready to glue in the purfling. This entry was posted in Violin Construction on May 8, 2016 by andrewkeim. 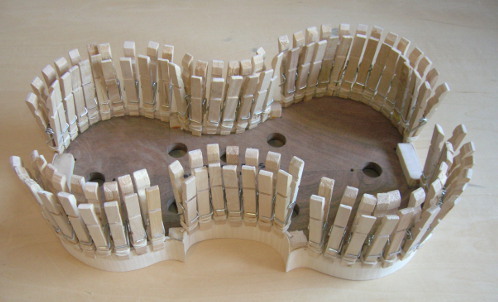 The linings have been glued to the ribs (below right). The top and back pieces started as rectangular pieces of solid maple and spruce. Each is made of two halves glued together. These are called ‘”blanks”. I traced the outline of the ribs on the top and back blanks using a 3mm spacer, and cut them out on the bandsaw (below left). 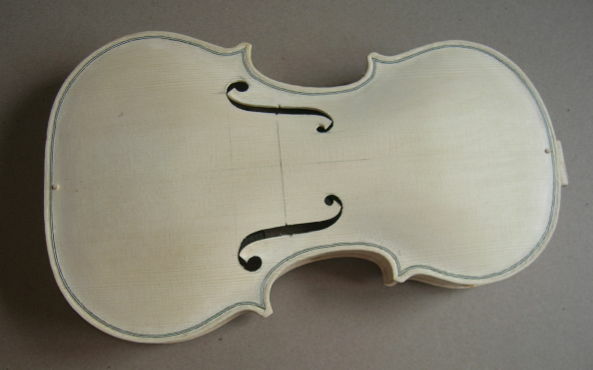 This entry was posted in Violin Construction on January 2, 2016 by andrewkeim. My “apprenticeship” continues. I’m gluing the ribs to the block on the inner mold. 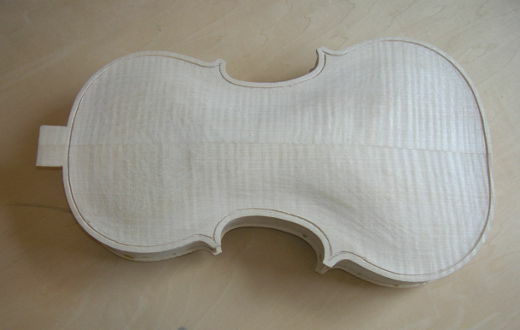 The inner mold is the Cremonese method of violin making. This is the beginning of the fifth violin. 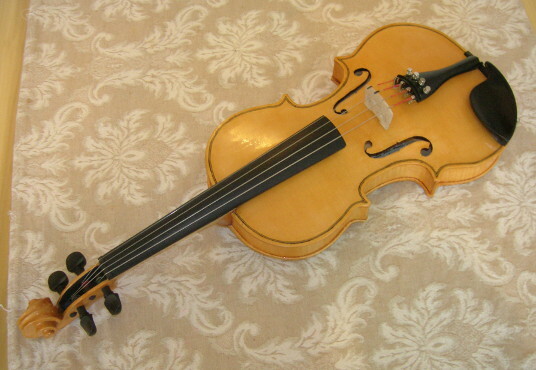 This entry was posted in Violin Construction on December 22, 2015 by andrewkeim. The scroll and peg box are complete. The neck has been glued into a notch on the body. All the finish work, sanding, and detailing is finished. The violin is now “in the white”. I will be experimenting with a new sealing technique using Gamboge gum as a sealer. This will give the violin a yellow base color as well as seal the instrument in preparation for its first coat of varnish. This entry was posted in Violin Construction on November 16, 2015 by andrewkeim. I have finished the f-holes for the top. Now I am ready to shape my bass bar for the inside of the top. This entry was posted in Violin Construction on August 19, 2015 by andrewkeim. 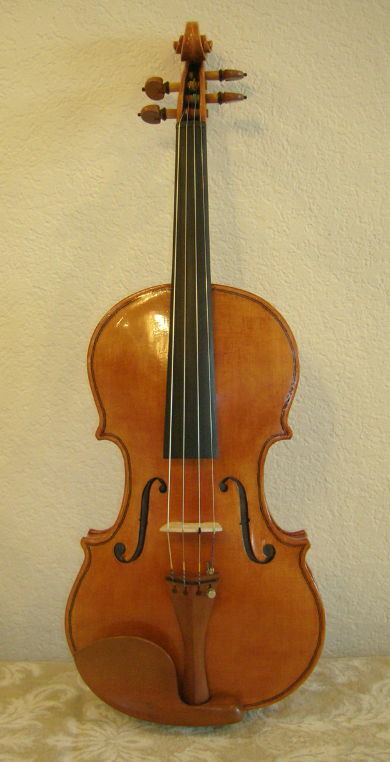 This violin was colored with an artist’s oil paint, a technique described by Harry Wake in his book A Luthier’s Scrapbook. After the violin is sealed and primed, two coats of paint are rubbed on by hand and then the violin is finished with several coats of clear varnish. The result is rich and beautiful. 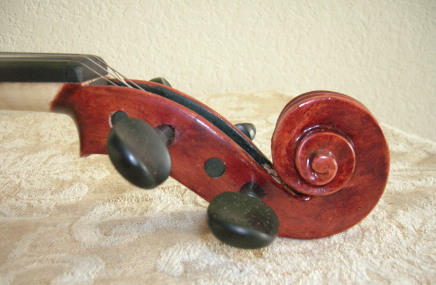 The black of the ebony chin rest, tail piece, and tuning pegs wonderfully complement the red tone of the violin. 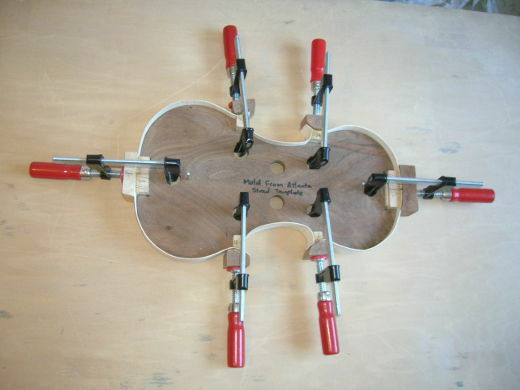 This entry was posted in Violin Construction on May 18, 2015 by andrewkeim. 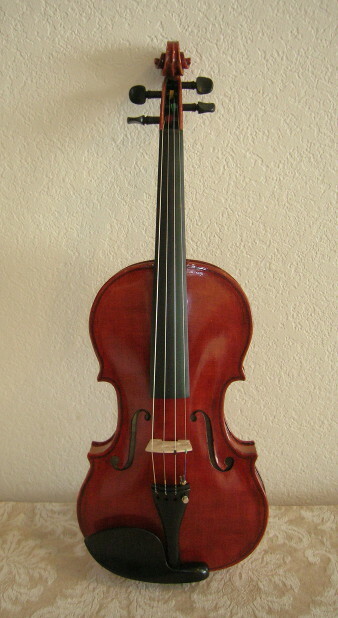 This is my second violin, which I am currently playing as my practice violin. The sound has a clear, defined tone. This instrument is varnished to a golden brown. 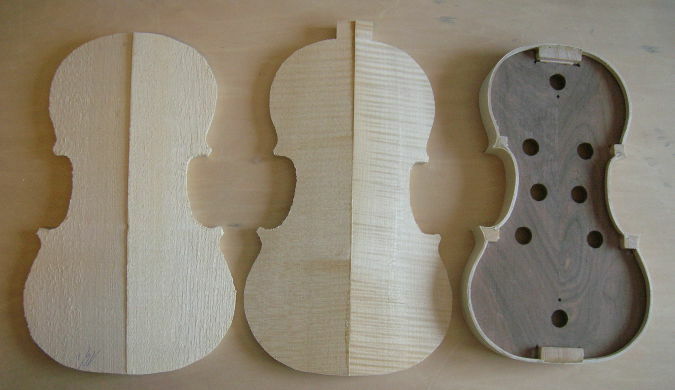 This entry was posted in Violin Construction on May 17, 2015 by andrewkeim.